The recent uncertainty surrounding Turkish-Azeri relations is giving way to a new period of optimism, ahead of high level diplomatic contacts. Turkish President Abdullah Gul and Prime Minister Recep Tayyip Erdogan will meet Azeri officials in a bid to reassure Baku of Ankara's intention to protect Azerbaijan's interests during the Turkish-Armenian reconciliation process. Turkey's policy of conducting diplomacy within the South Caucasus in coordination with Azerbaijan, came under strain when it attempted to accelerate normalizing its relations with Armenia. Baku expressed its reservations over the rapid increase in diplomatic activity between Ankara -Yerevan which it perceived as "developing at the expense of Azerbaijan." Azerbaijani officials tried to understand the content of the Turkish-Armenian rapprochement and how this might affect Turkish-Azeri relations (EDM, April 29, May 4). At the height of the discussions on President Obama's April 24 address, the possibility that Ankara might ignore Baku's sensitivities was often discussed within both countries. In addition to the reaction of Azerbaijani officials, such speculation added to public outrage toward the AKP government's policies, both within Turkey and Azerbaijan. 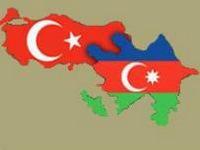 While delegations of Azeri parliamentarians and civil society organizations visited Turkey to garner political support for their plight, their Turkish counterparts also traveled to Azerbaijan in order to express solidarity with their Azeri brethren. Azeri deputies frequently appeared on live discussion programs on Turkish TV, seeking to mobilize public opinion, exerting additional pressure on the AKP government. Against this background, the Turkish government is now refocusing its attention on addressing those concerns. At the same time, the Turkish press reported that Baku has toned down its criticism of Ankara's policies toward Armenia. Azerbaijan's President Ilham Aliyev wants to reinforce bilateral ties, ensuring that he is kept informed about the progress on Turkish-Armenian rapprochement and securing greater leverage over Ankara's policies toward Yerevan. Toward that end, Aliyev has decided to send a special envoy to Turkey (Referans, May 2). Turkey's first attempts to reach out to Baku came on May 4 when Azerbaijan's Deputy Minister of Foreign Affairs Araz Azimov, visited Ankara and held talks with Turkey's newly appointed Foreign Minister Ahmet Davutoglu. Since it was Davutoglu's first meeting after assuming office two days earlier, it had a symbolic meaning -demonstrating the value that Davutoglu attaches to Turkish-Azeri ties. In addition to exploring ways of improving bilateral relations through more frequent and high profile meetings between the leaders of the two countries, they also exchanged opinions on regional issues (Cihan Haber Ajansi, May 4). As a further boost to Ankara's policy to regain Baku's confidence, Erdogan will visit Baku on May 12-13, and then meet Russian Prime Minister Vladimir Putin on May 16 (Anadolu Ajansi, May 4). While commenting on his forthcoming trip, Erdogan sought to deflect recent criticism from Baku and domestic opposition parties. He maintained that his government did not deserve such heavy criticism, which he characterized as an unnecessary reaction to Turkey's policy of rapprochement; especially concerning Ankara's intention to re-open its border with Armenia. Erdogan also emphasized that some Azeri officials' statements had hurt Ankara. He added that the normalization of Turkish-Armenian relations will also serve Baku's interests and he will seek to remove any misunderstandings during his visit next week (ANKA, May 5). Moreover, Erdogan's plan to meet Putin reflects Ankara's belief that Russia remains a significant stakeholder in the resolution of Turkish-Armenian-Azeri problems and must act in concert with Russia, in order to advance its interests within the South Caucasus. Russia is one of the co-chairs of the Minsk Group working to resolve the Karabakh conflict between Azerbaijan and Armenia, and has been mediating in talks between Baku and Yerevan. President Gul is taking additional steps toward addressing concerns over Ankara's policies from Baku and domestic opposition parties. 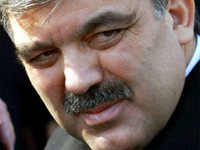 Gul met the leader of the main opposition Republican People's Party Deniz Baykal, who had lambasted the recent moves towards rapprochement between Turkey and Armenia, arguing that Erdogan had betrayed Baku. Gul briefed Baykal about the developments within the South Caucasus in an attempt to influence Turkish public opinion (Cihan Haber Ajansi, May 5). Gul also plans to hold two separate meetings with Aliyev and the Armenia's President Serzh Sarksyan during the Eastern Partnership and Southern Corridor meetings in Prague on May 7-8 under the sponsorship of the Czech Republic, which currently holds the EU presidency (Anadolu Ajansi, May 5). In addition to discussing issues including energy security, the Prague summit will provide an opportunity to consider the resolution of problems between Armenia and Azerbaijan. Baku and Yerevan frequently conduct part of their diplomatic negotiations on the sidelines of such multilateral forums. In preparation for the Prague summit the U.S. Secretary of State Hillary Clinton, met the foreign ministers of both countries separately in Washington. Clinton expressed her support and encouragement for these bilateral talks ahead of the Prague summit (www.cnnturk.com, May 5). The Gul-Aliyev meeting might equally hold symbolic meaning, marking an improvement of ties between Ankara and Baku, after their recent tension. Previously, Aliyev had declined to participate in multilateral meetings where he might meet Gul, spurning Gul's invitation to attend the Alliance of Civilizations platform in Istanbul (EDM, April 8) and later cancelling his participation in an energy summit in Sofia, attended by Gul (Takvim, April 23). The Turkish press speculated that Aliyev was deliberately avoiding these meetings to convey his discomfort over Ankara's failure to consult him on the Turkish-Armenian talks. Gul consistently denied any such row, and even claimed that he kept Aliyev informed about developments by telephone (www.ntvmsnbc.com, April 28). A face-to-face meeting between the two leaders might remove the basis for any future speculation, as well as mend strained Turkish-Azeri relations.